Unlike the NBA, CFAAP on is back on Cavs: the Blog, baby! And – I think to prove a point? 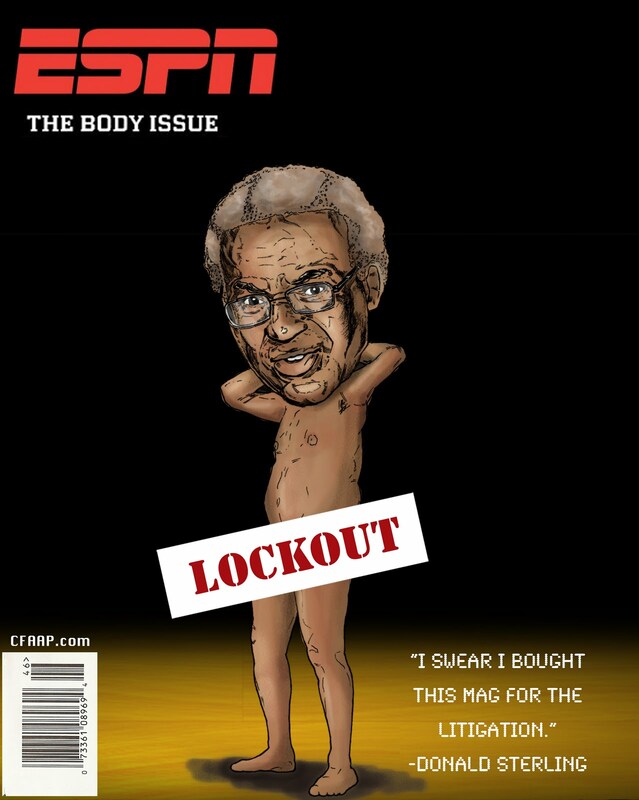 – I’ve decided to do my part in ending the lockout by posting a union and/or league executive on the cover of an ESPN: the Body Issue every week until this unseemliness is resolved. Because no executive wants to be caught with his pants down. Or completely naked. Freud would say I have a problem with authority. I’m more hoping I just want to see some basketball. Assuming the Cavs team stays as presently constructed, and knowing what you know now… what would you rather come out of the 2012 NBA Draft with? A) Any one of Anthony Davis, Andre Drummond, or Harrison Barnes. B) Any two of Michael Gilchrist, Quincy Miller, Perry Jones, Bradley Beal, Austin Rivers, James McAdoo or Jared Sullinger. I’ll share my answer a bit later in the day. I'm "A" all the way. Two reasons. The first is that the top three guys represent the safest NBA picks in that Davis and Drummond should at worst find a way to contribute something defensively (they're both uniquely talented in that regard), while Harrison Barnes is as close to a sure-thing as there is in the draft. The second reason is in my mind even more convincing. The Cavs (as do all teams) need one "great" far more than they need two "goods." As deep as this draft is, I don't see anyone from that second group becoming elite elite (with the possible exception of Quincy Miller, who I still view as a long shot star, and Brad Beal, who I don't know particularly well yet). They're all really good, but they're Iguodala good. At best, they're Rudy Gay good. There isn't a LBJ/Durant among that group. Each has a substantial liability that's already evident. Davis and Drummond, they're the only two guys in the draft with "top of the NBA" potential. Harrison Barnes I love as well -- and again, he's the safest bet to fulfill his promise of anyone -- and is just a tier below them ceiling-wise. informative article together. I once again find myself spending a lot of time both reading and commenting.